Are you a small business owner wanting to make sure that your web design is converting visitors into leads as well as it could? 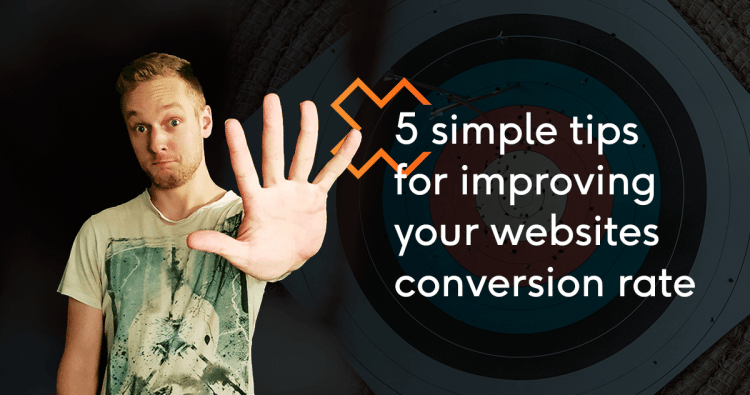 For large sites with huge amount of traffic, companies can invest huge amounts of resources into conversion rate optimisation to ensure their design is giving them the best possible returns. Strategies involving a/b split testing, in depth measuring and analysis are effective, but they can also be a time-consuming and expensive. For your average small business often this level of in-depth analysis is not realistic, you and your employees probably have plenty to do with the actual ‘running-the-business’ side of things. The headline is often what will attract the most attention on a home page, so it needs to clearly get across what your business is all about why you’re better than the next person. Too often businesses will waste this opportunity and just put something that is purely written for search engines to help SEO, or they will put something like “Welcome to our website”. The headline needs to convince readers that it’s worth hanging around to find out more and read the rest of the site, otherwise within a few seconds visitors will lose interest and find another provider. You don’t have long to make an impression, and the headline is the key to this, it needs to answer the questions people are looking for and explain why they would want to enquire with you. Homepage sliders and carousels are a huge fad, and have been for a while. But in reality they take up so much space on the homepage and don’t really offer any encouragements to take action. They are also bulky and can slow your site down. How often have you landed on a website home page and then had to wait several seconds your their slider to load? Images are hugely important to impress visitors. Giving a visual of what your business does speaks much faster than text ever can. But using over a half of the home page for images is a waste of space, especially when the image is changing at regular intervals distracting the user and pulling them in a different direction every time. People need information in order to decide whether or not to contact you, but they won’t read it if it’s just a slab of text. And they skip large paragraphs. The use of white space, subheadings, bullet points and generally breaking up your content is so important in making sure your message gets across. Otherwise the whole website will looks like too much hard work and people may not bother. As soon as people decide that they want to give you a call or send an email , the process from thought to action should be as obvious and immediate as possible. This means that on all pages you need a prominent phone number for people that want to call and get an answer right now, and a prominent contact form that requires the least amount of information as possible for those who would rather email or are viewing the site after hours. Every users on your website has threshold of interest in your product or service and a level of patience in working out how to contact you. Where those two points intersect is moment you lose a lead. Make enquiring as easy as possible lets you lower your abandonment threshold and do more business. One of the most effective ways to make your call-to-action obvious to customers is effective use of action colours. Figure out your baseline and accent colours for your site, and use an action colour that will stand out in contrast. Your phone number, submit button on contact forms and any other important element that requires a user action should be in this colour. There will be plenty of people telling you what the exact right colour to “raise conversion by 213%”, but the truth is the right colour is going to depend on the colours you’re already using for your brand. Use tools like the Adobe Color Wheel to get an idea of what colour might match your current design, but still give your CTA enough pop. 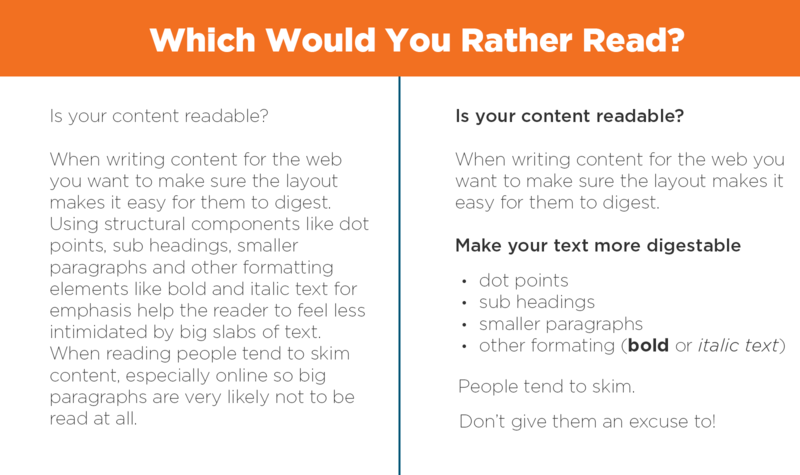 Does your website make effective use of these basic strategies? If the answer is no, then it is time to get to work.